The app will not only automatically organise all your travel information in one place, but will also give you recommendations and suggestions to explore the places you plan to visit. 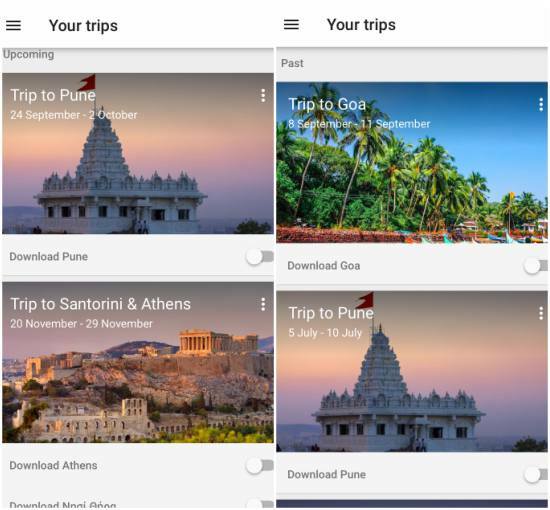 Google has finally launched an all new app that will effortlessly organise your trips in one place. 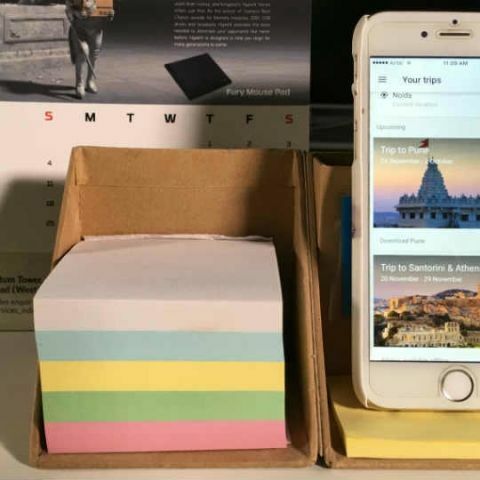 Called Google Trips, the app in now live on the iOS App Store and the Google Play Store, and will automatically displays travel information like tickets, hotel bookings, agendas and itineraries found in your Gmail account. Not only does the app show you your upcoming trips, but it also keeps a record of trips taken in the past. Clicking on the options menu on each trip will allow you to view the corresponding booking emails in your Gmail inbox. 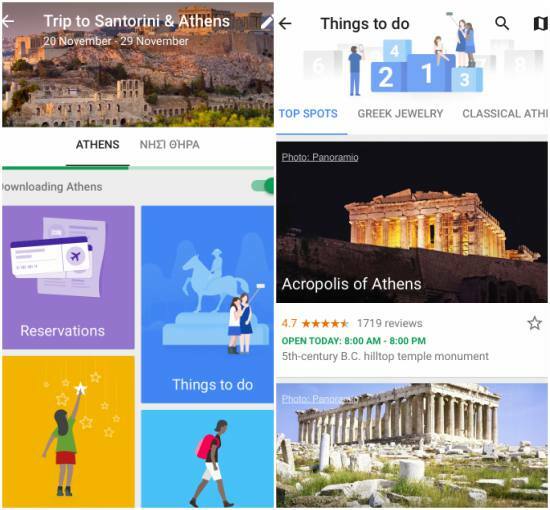 Based on the places your are scheduled to visit, Google Trips will also give you recommendations on things to do, such as: top spots to visit, specialities of the place, museum guides, historic sites, shopping guides and more. In addition the app also displays suggestions for daily activities depending on the number of days you plan to stay in a particular city. 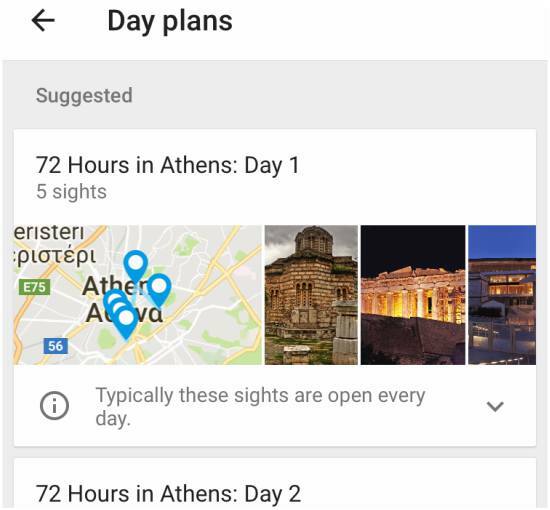 For example, if your travel plans suggest you are staying in a particular city for 2 days, Google Trips will automatically plan a two day agenda for your trip. 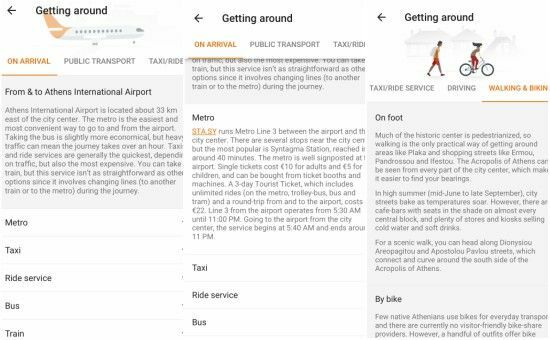 When travelling to a new city or country, it’s extremely vital to know how you are going to get around the place, and Google seems to have thought of all the information you may need to travel within a particular city. The app will provide you with Metro, Taxi, Bus and Train information, complete with ticket prices, phone numbers, routes and more. It even provides you information on driving, walking and biking inside the city. So if you are planning a trip sometime soon or far in the future, Google Trips seems like a great way of exploring new places and getting all the important, helpful information in an effortless manner. What’s great is that the app also works in offline mode and you don’t have to be connected to the internet to access your tip info. Check out the app and let us know what you think of it in our comments section below. Happy Travels!